Why eat Pizza alla Pala? Because it is a different pizza with organic flour, light and easy to digest because the fermentation takes place in the refrigerator for 24 to 48 hours. All ingredients are fresh and cut on the spot. So this pizza needs more time for cooking. And why eat at Pizza alla Pala? We are not fans of “takeaway”. In fact all dietitians advise to eat fresh cooked meals in order to have a better digestion as well as not to put extra kilos on. 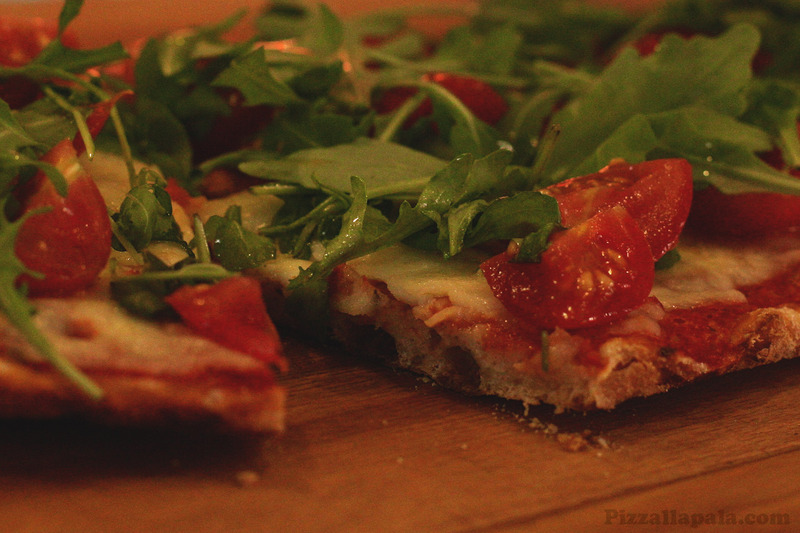 However, only in particular cases, as there are many reservations, pizzas are made “to go”. But this takes a long time to Franco, the pizza maker who prefers to spend this time with customers who come to visit us. The place is small, but very cozy. A good healthy family atmosphere where we attend everybody with all our love.